Europe’s top tech hubs tend to radiate from massive capital cities like London, Berlin and Paris. But the heart of European innovation isn’t a major metropolis –it’s a small city in the Dutch-speaking region of Flanders. That’s the conclusion of Reuters’ second annual ranking of Europe’s Most Innovative Universities, a list that identifies and ranks the educational institutions doing the most to advance science, invent new technologies, and help drive the global economy (Compare all 100 schools here). 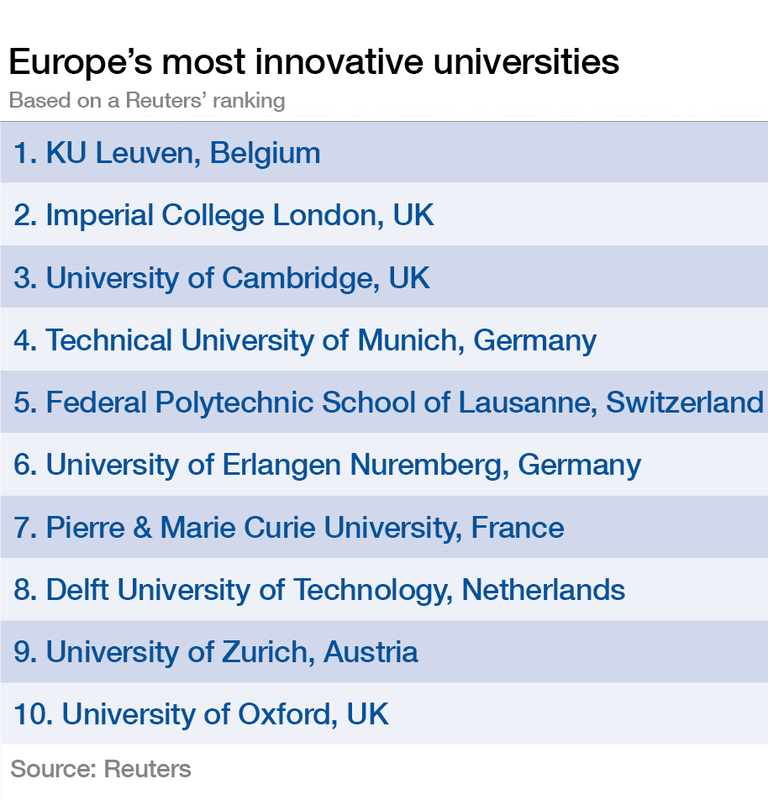 The most innovative university in Europe, for the second year running, is Belgium’s KU Leuven. This nearly 600-year-old institution was founded by Pope Martin V, but today it’s better known for technology than theology: KU Leuven maintains one of the largest independent research and development organizations on the planet. In fiscal 2015, the university’s research spending exceeded €454 million, and its patent portfolio currently includes 586 active families, each one representing an invention protected in multiple countries.